I think you already came across people saying themselves great Hackers. Above quote is referred to same kind of people. They are actually Script Kiddies. According to Wikipedia Script Kiddies are are unskilled individuals who use scripts or programs developed by others to attack computer systems and networks and deface websites. By the late 90’s Hacking was considered as a Great Crime, but now you can get millions of Hackers around the globe. Some people think hacking just hacking in to friend’s Facebook or other social networks, but you are wrong. Real Hacking is totally different, It is the art of finding vulnerabilities or security loop holes in a system or server. Let me come to point directly, here below i have prepared some FAQs and facts about hacking and A Hacker. 1. There is a website that can Hack Facebook account online OR there is a software that can crack any mail passwords, Is that Really Works?? 3. I use Linux Distributions like Backtrack, Matriux Krypton, Kali Linux etc. So i am a professional Hacker and I can hack anything. This is the most stupid misconception about Linux Distro. Backtrack is just a Penetration Testing OS that is developed on Linux Kernel. It can be used to detect flaws in web. It has 100s of tools that needs major effort to be understood completely. Hacking isn’t evil always. Black Hat hacking is declared as Illegal. There are white hat hacker or Security professionals working under many esteemed Companies to protect their servers against Data theft. People often google seeking help regarding hacking tutorials and all, but even Google gives you bad results. Refer only professional’s writing to learn. Don’t download rubbish and follow them, it may lead you to wrong route. You can refer Legendary Hackers like Kevin Mitnick, Chris Putnam, Rahul Tyagi etc. There are some Must Have Abilities or Knowledge to Declare yourselves as Hackers. I have listed a few of them below. 1. A Working Brain.. Obvious and Most Important Need. 4. Learn Web development and how web works. 5. Knowledge about Common Security flaws like SQL Injection, XSS etc. 6. Learn Networking and their Loopholes. 7. Knowledge about one server side language(PHP, Perl) is important. Don’t act professional, Be Professional!! There are many professionals working with govt to trace you.Don’t experiment unless you know what it results in. Don’t be sad if you are a newbie, go dig the web, overload your brain and you can be one of the professionals.I am a newbie too. 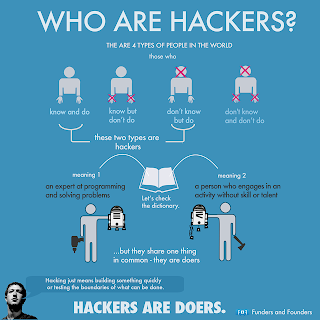 And most important.. Never ask me or some one else, “Are you a Hacker?? Hack my friend’s FB “. Sharing and Comments are precious ! !